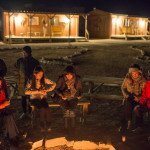 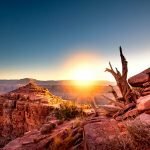 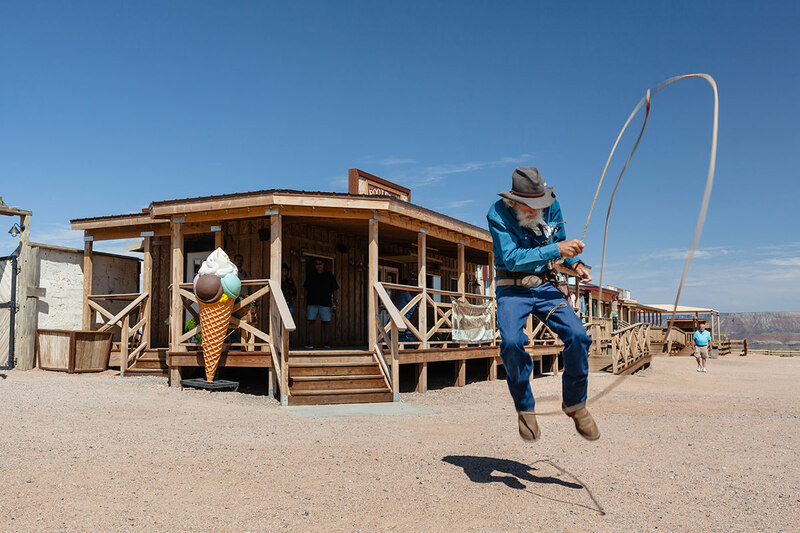 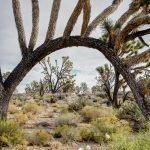 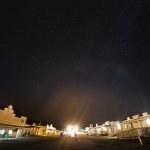 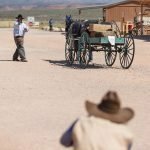 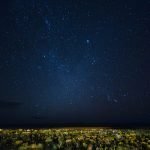 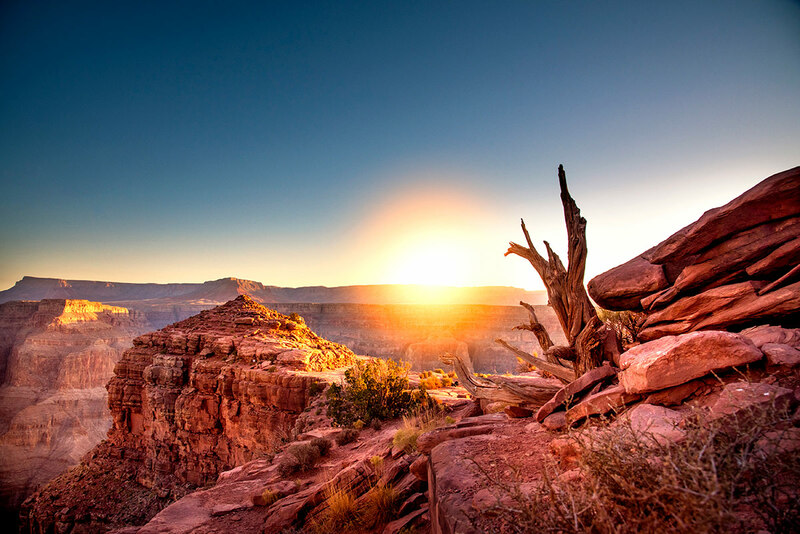 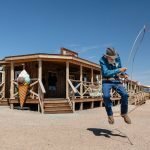 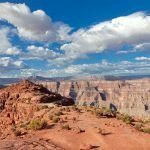 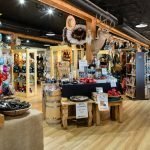 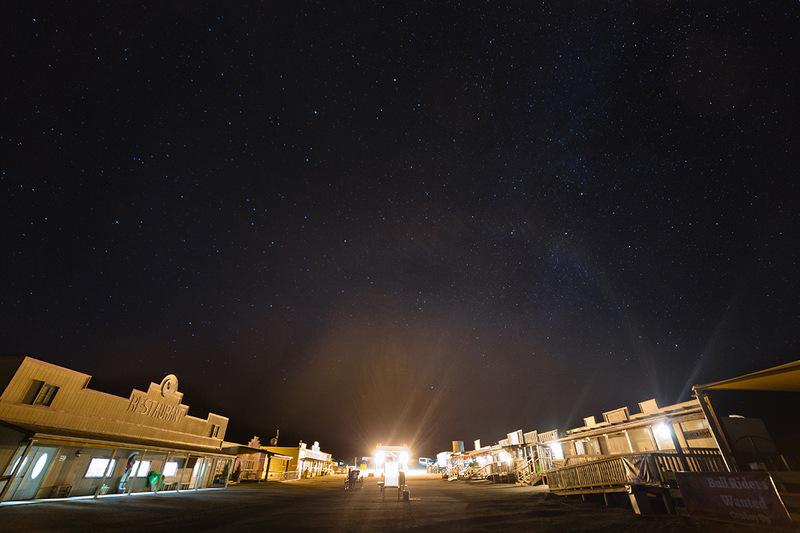 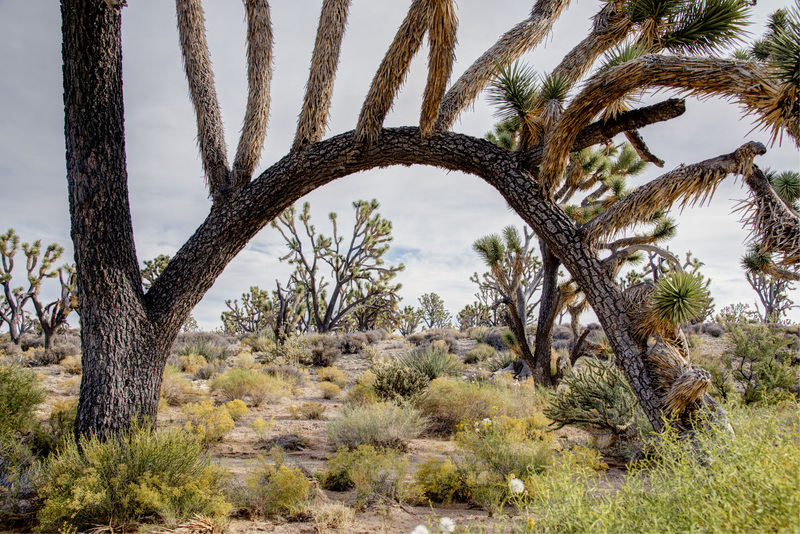 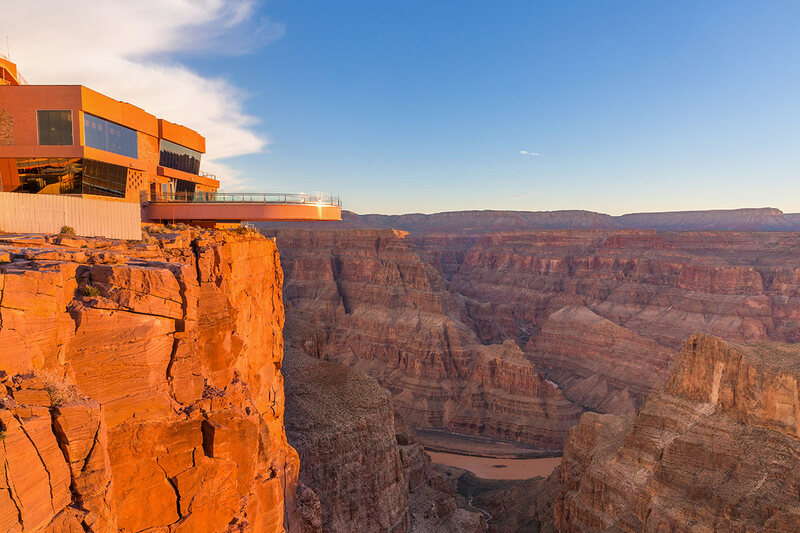 Your 2-DAY Grand Canyon West Rim Hualapai Ranch cabin hotel stay by bus from Las Vegas begins as you are driven across the Mojave Desert through the Joshua Tree forest to the Hualapai Ranch. 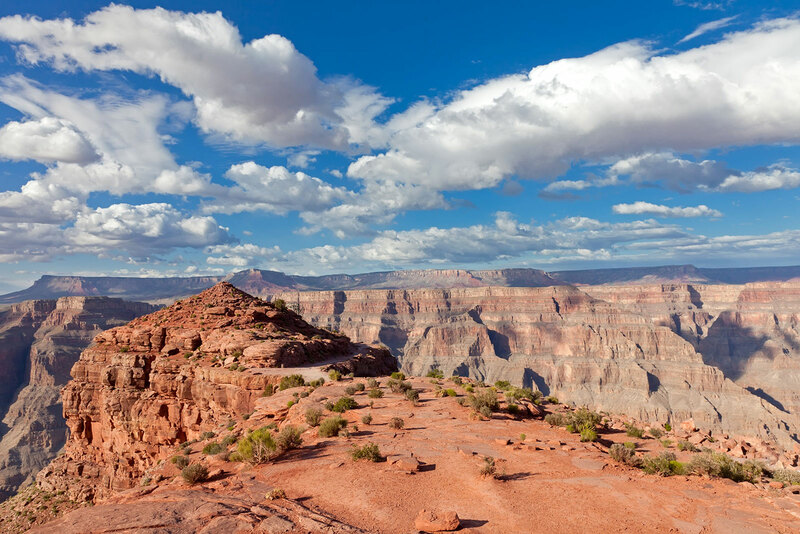 Upon arrival at Grand Canyon West, board the hop-on-hop-off shuttle bus to Eagle and Guano Point. 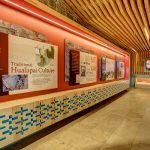 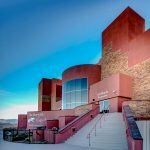 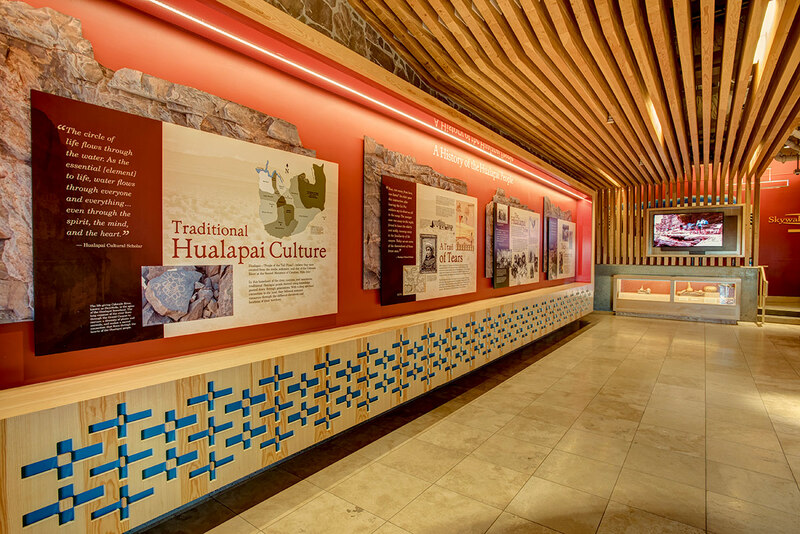 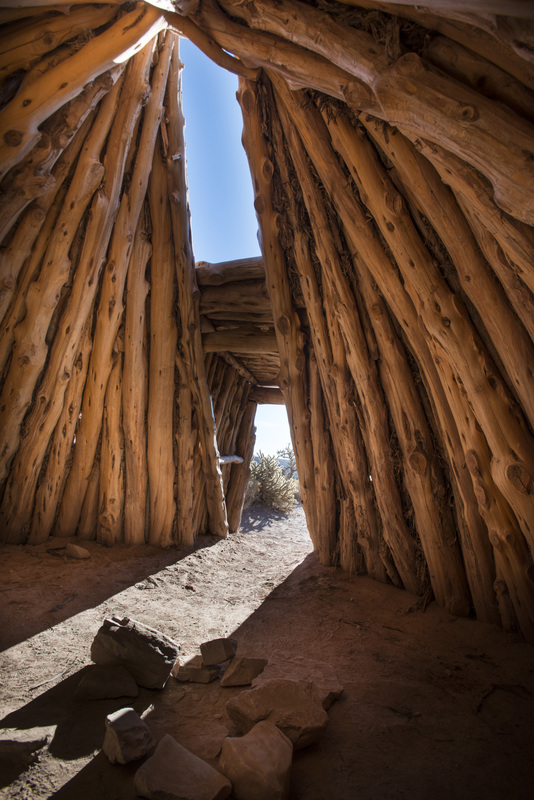 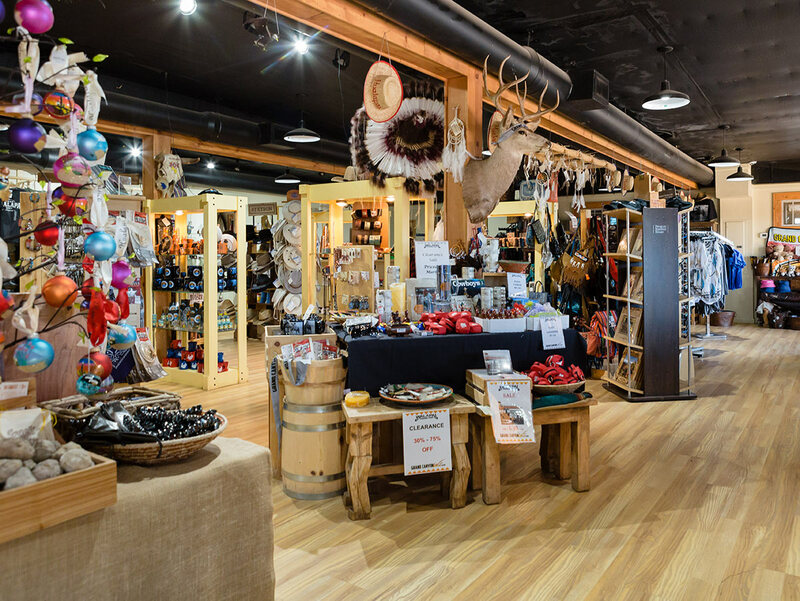 Explore the Hualapai Native America Village including Gift Shops, and Skywalk Cafe. 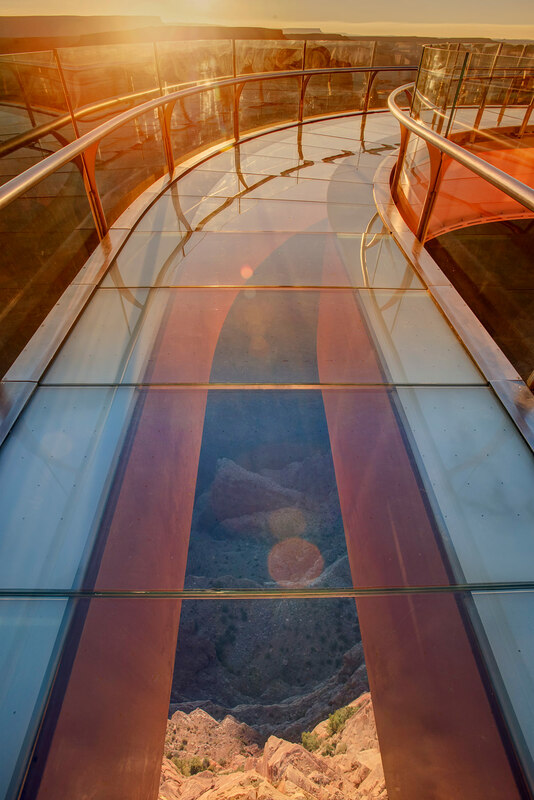 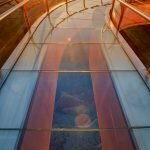 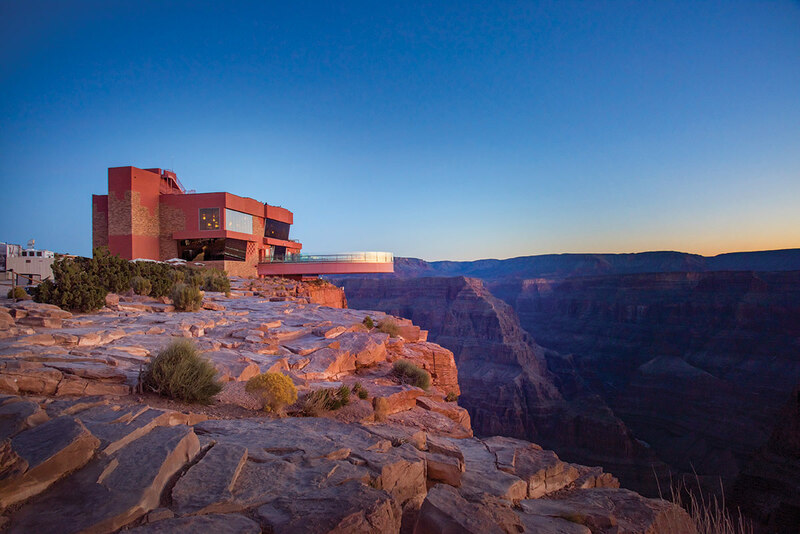 Walk 4,000 feet above the Grand Canyon on the horseshoe-shaped glass bridge. 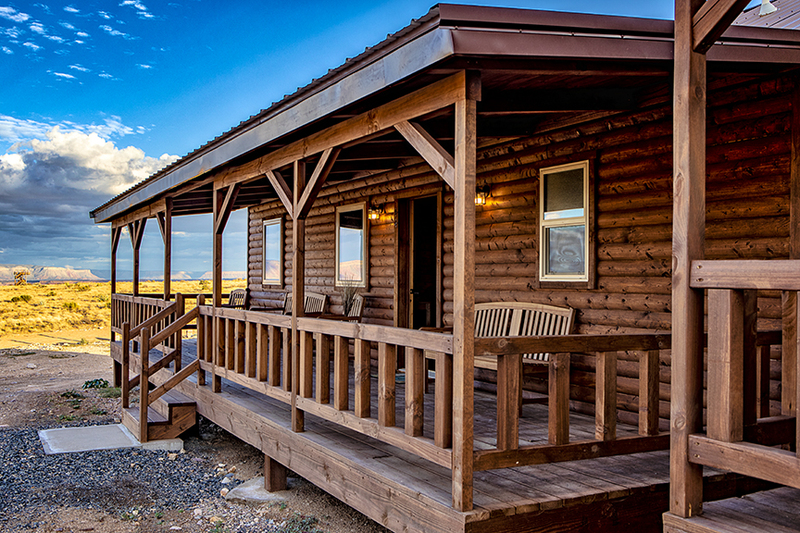 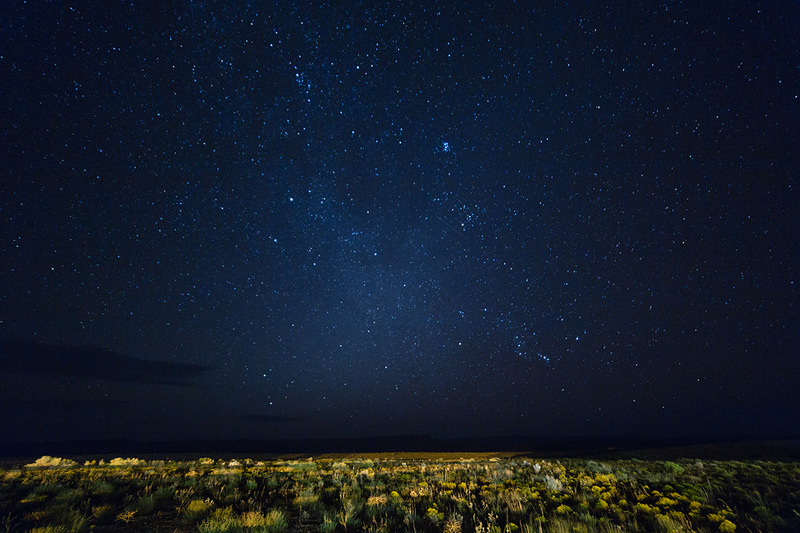 After experiencing the panoramic views of the Grand Canyon West Rim, you will check-in into your Hualapai Ranch cabin for your cabin overnight stay. 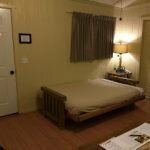 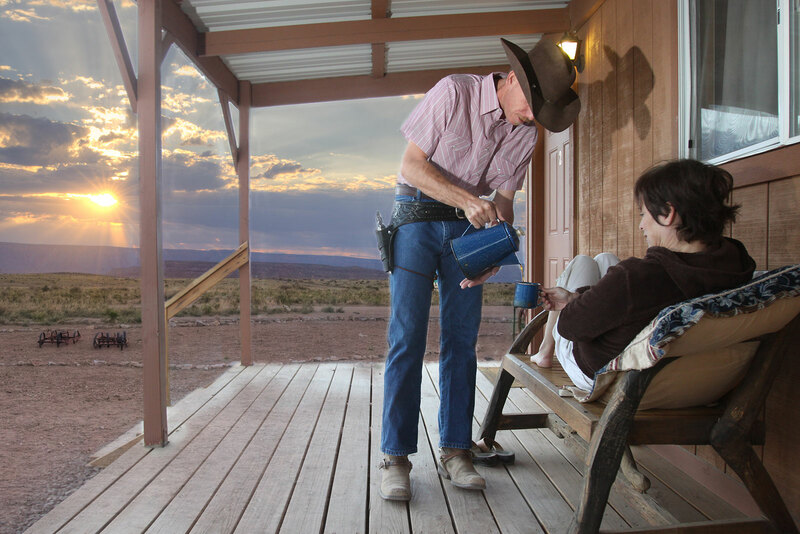 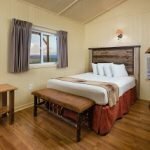 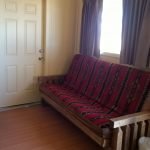 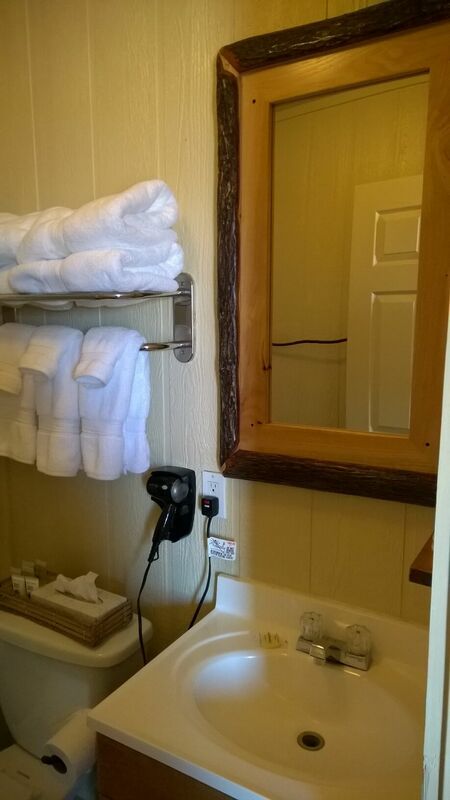 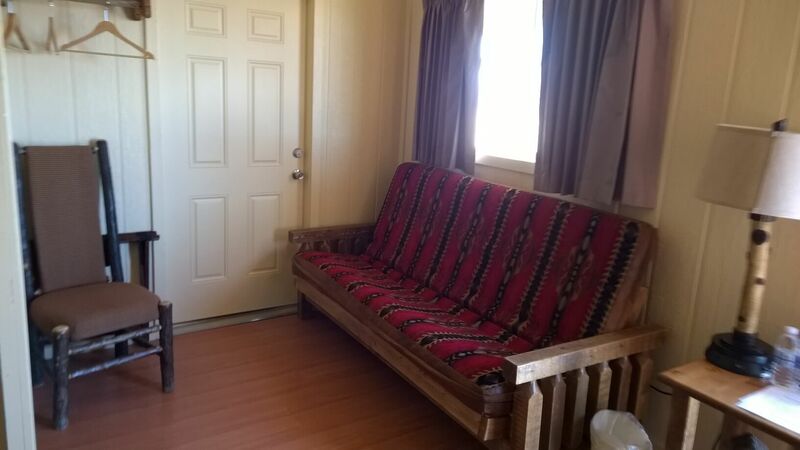 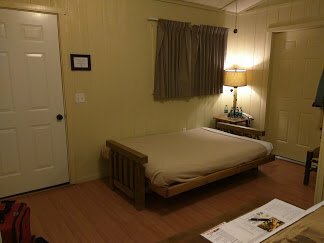 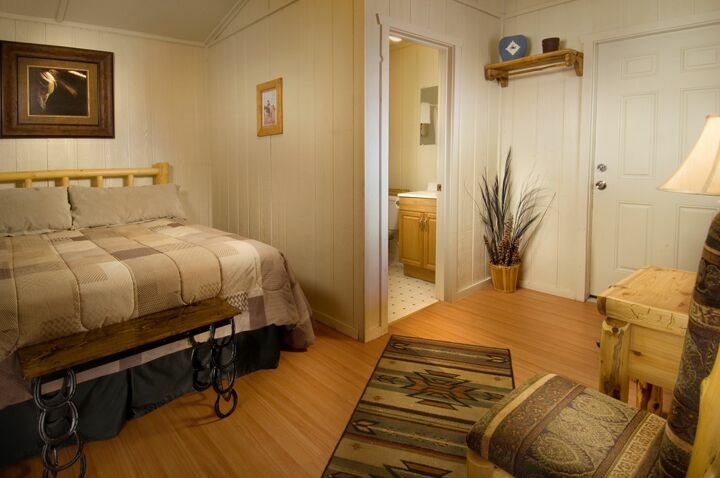 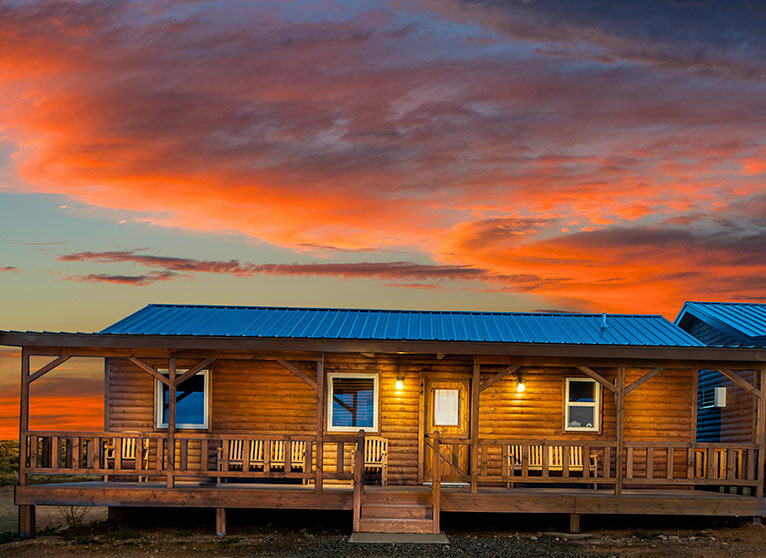 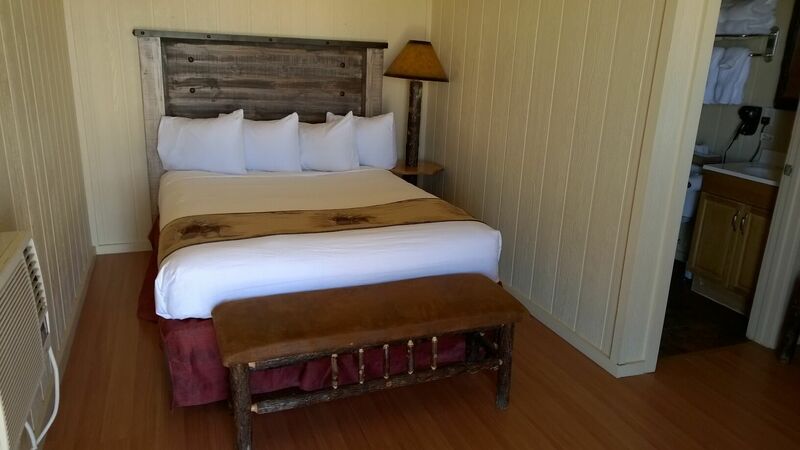 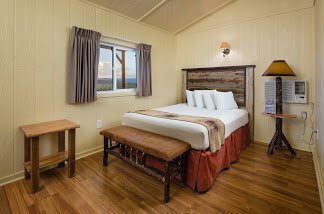 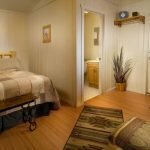 Each Grand Canyon West Hualapai Ranch cabin features all the essentials for a no relaxed stay, each cabin features air conditioning, a queen size bed, a sofa pull out bed and bathroom with shower, clothing area with hangers and western style cabin porch with comfortable seating. 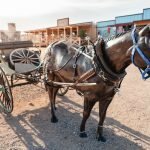 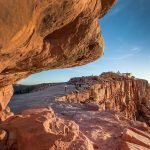 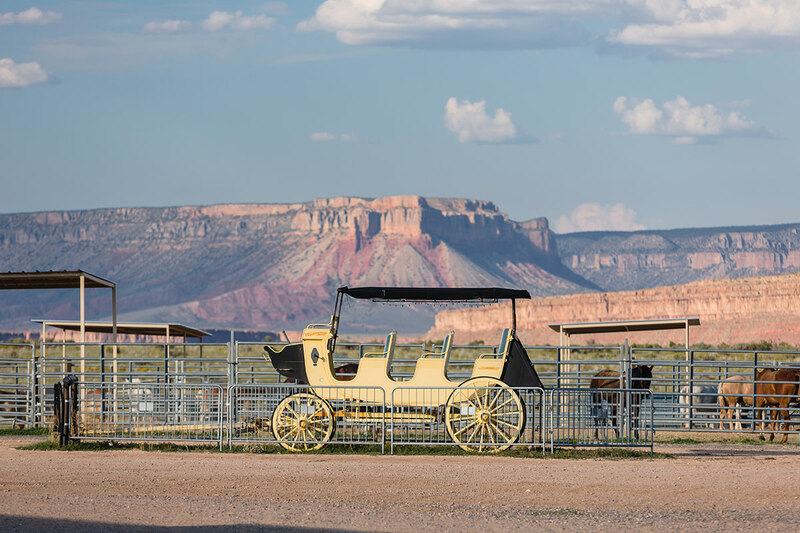 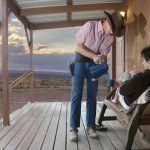 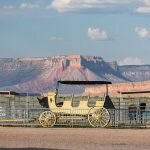 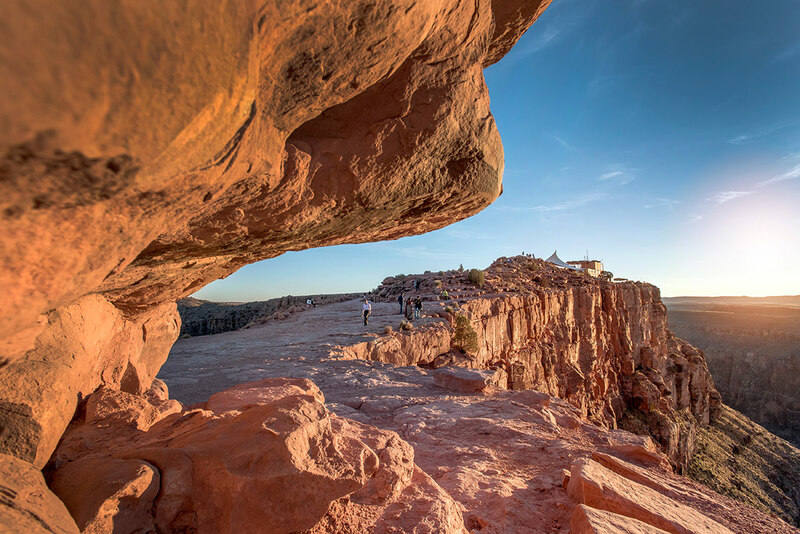 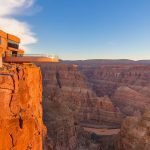 The following day, enjoy breakfast before heading out on a trail hike to the Rim of the Grand Canyon or choose from an optional 30 or 60 minute horseback ride along trails that skirt the edge of the West Rim. 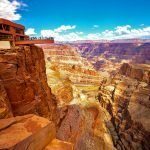 Enjoy the views and spectacular scenery of the Grand Canyon West before heading back to Las Vegas by ground transportation. 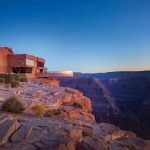 Round-Trip Mercedes Benz Sprinter van ground transportation between Las Vegas Resort Hotels and Grand Canyon West including drive thru the Joshua Tree Forest. 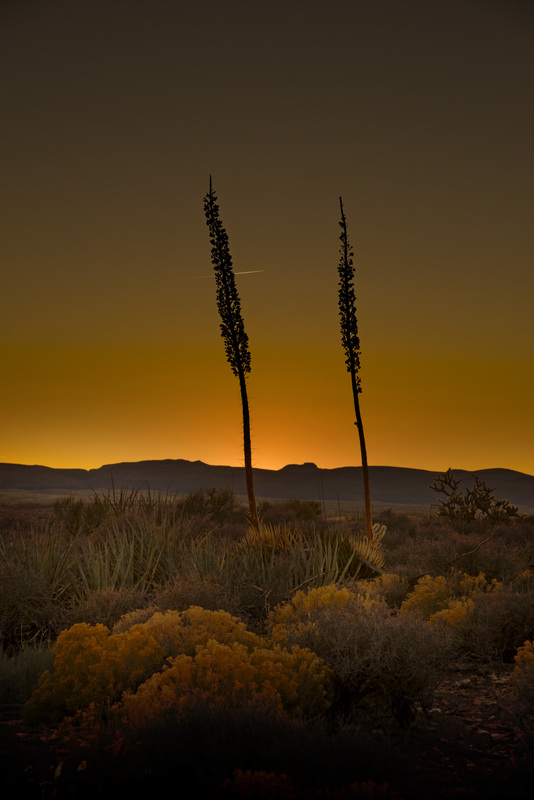 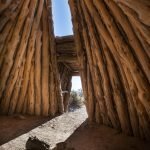 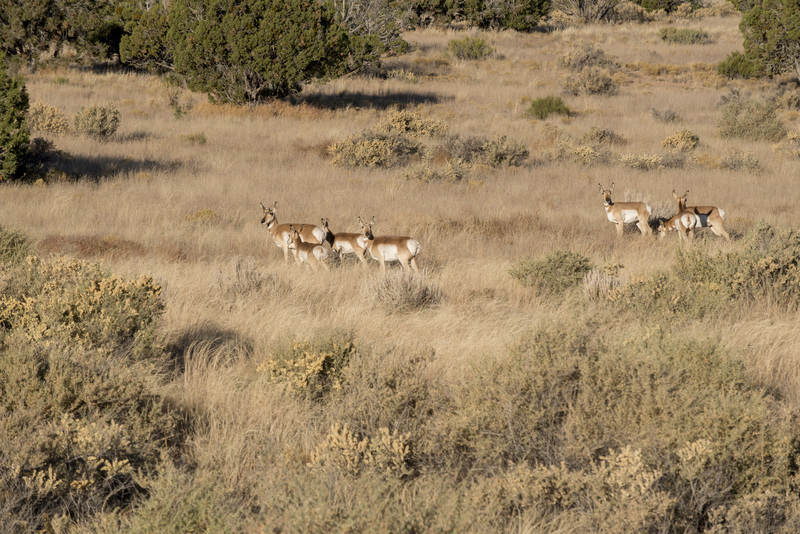 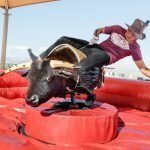 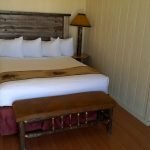 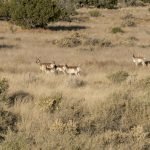 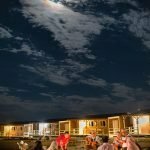 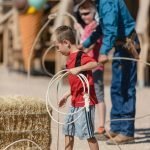 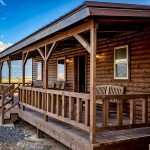 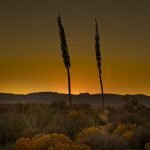 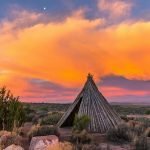 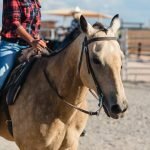 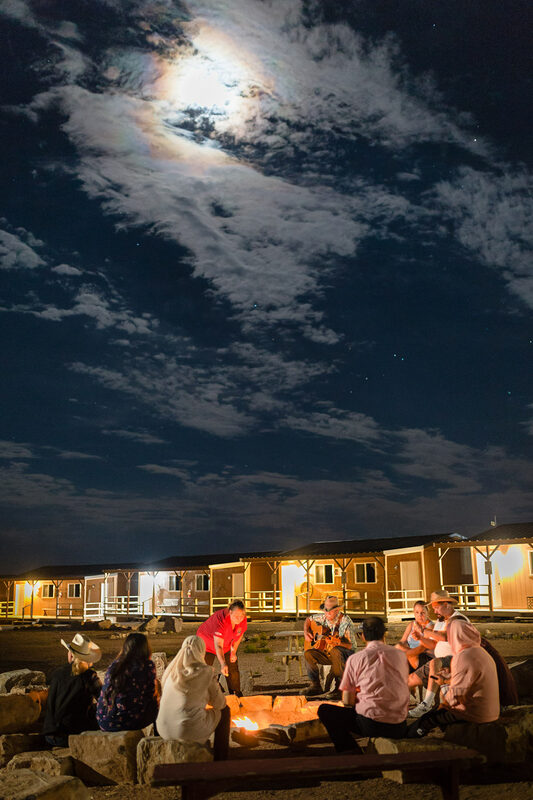 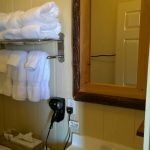 Overnight Cabin Hotel Stay at the Hualapai Ranch including Dinner & Breakfast. 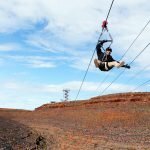 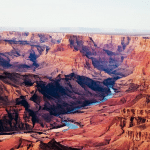 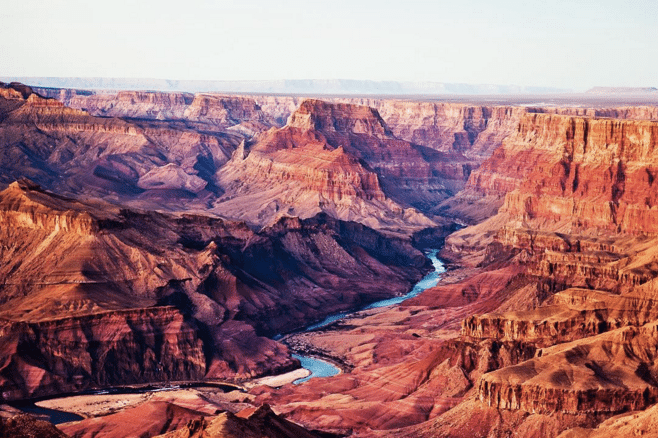 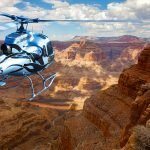 Legacy ticket admission including hop-on-hop-off shuttle to for spectacular panoramic views of the Grand Canyon and Colorado River from Eagle and Guano Point. 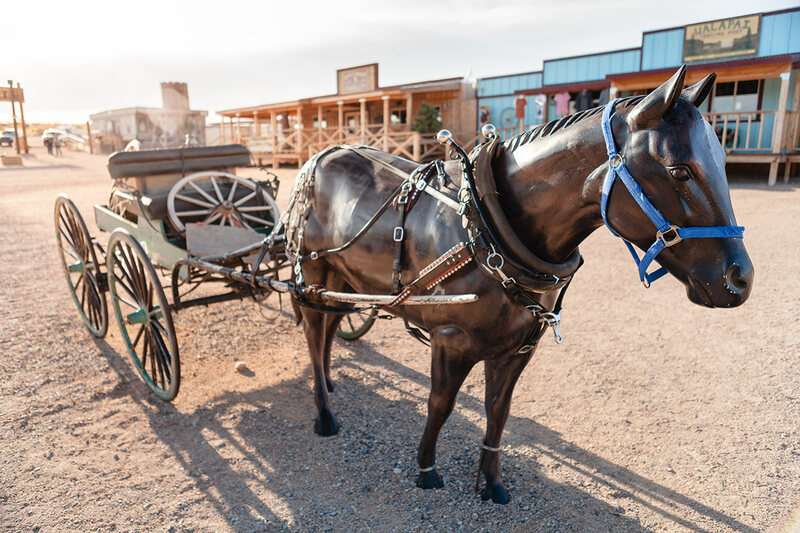 Complimentary water is provided on the ground transportation to/from Las Vegas and Grand Canyon West. 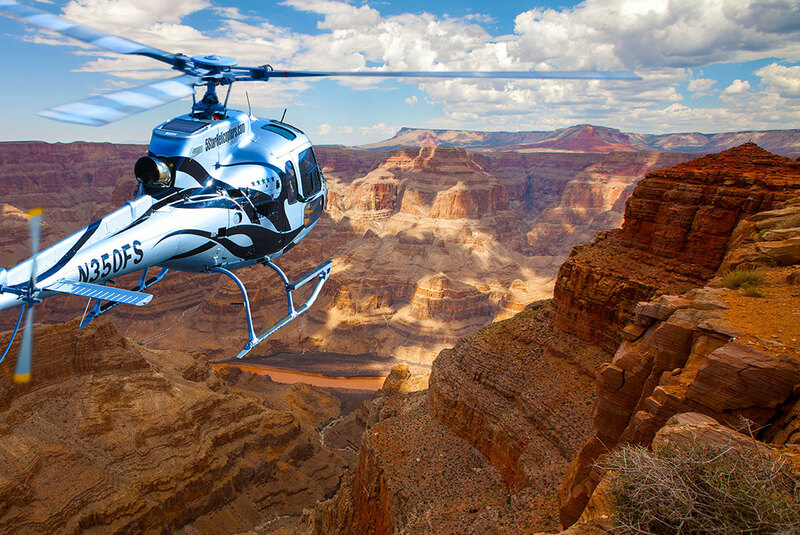 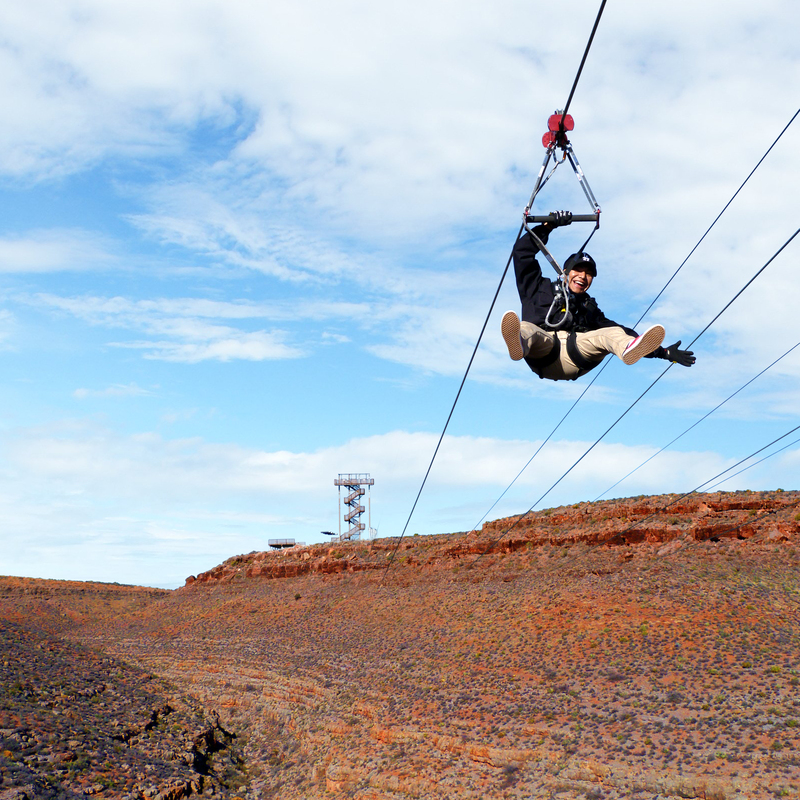 Optional activities are available for purchase through 5 Star Grand Canyon Helicopter Tours. 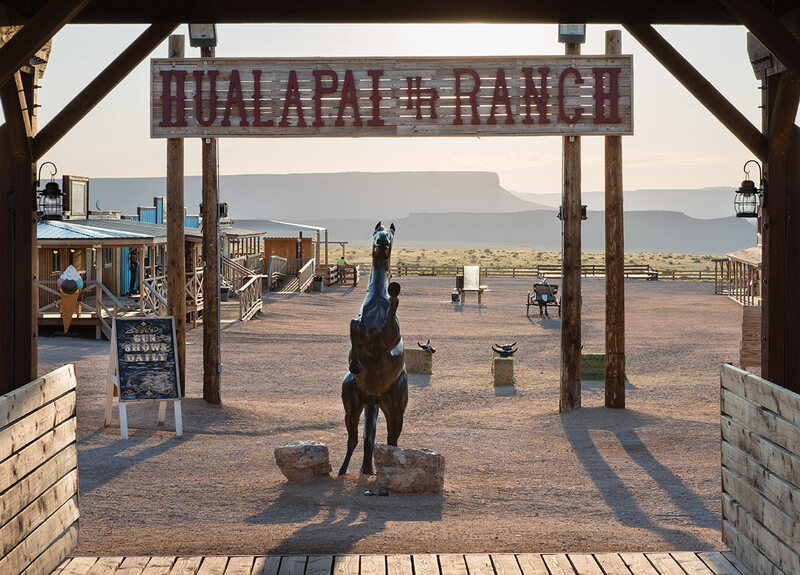 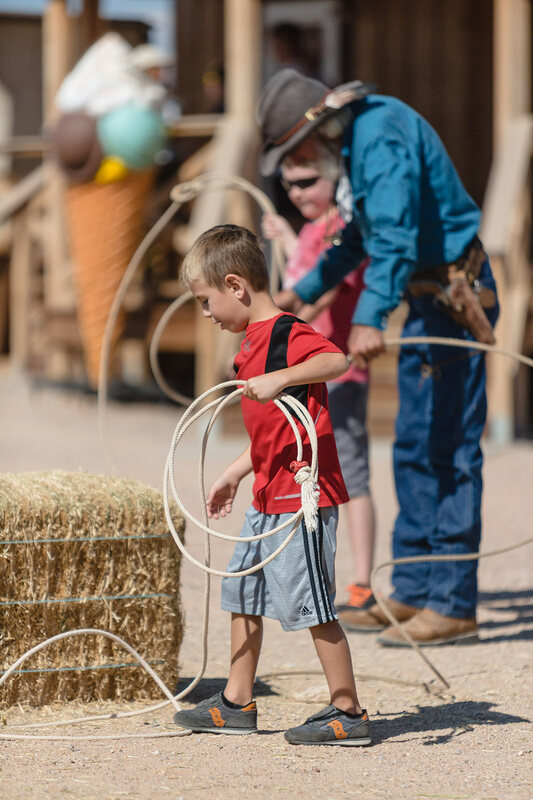 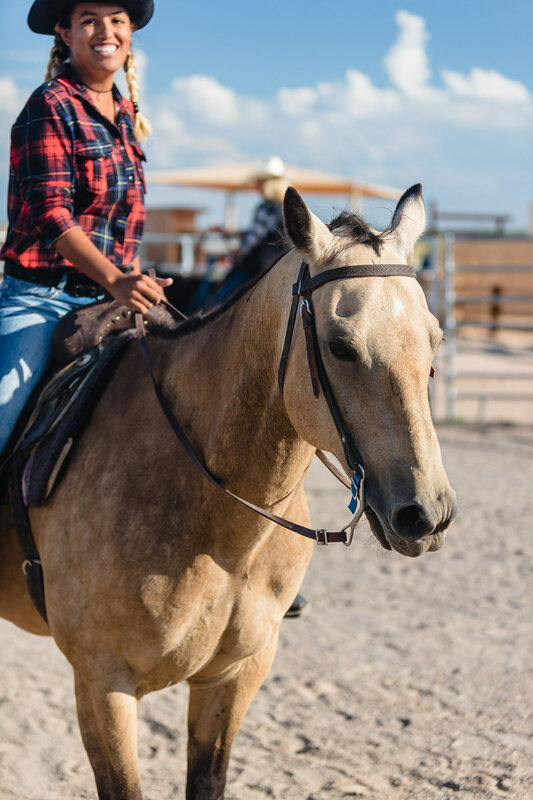 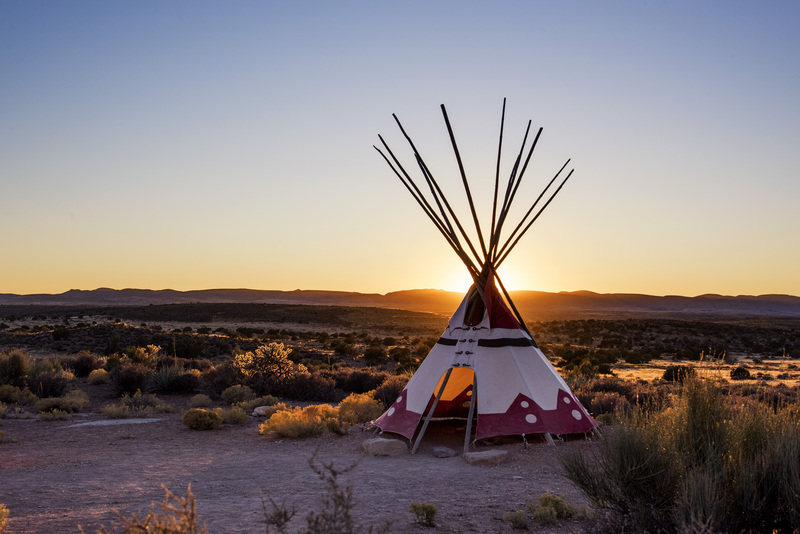 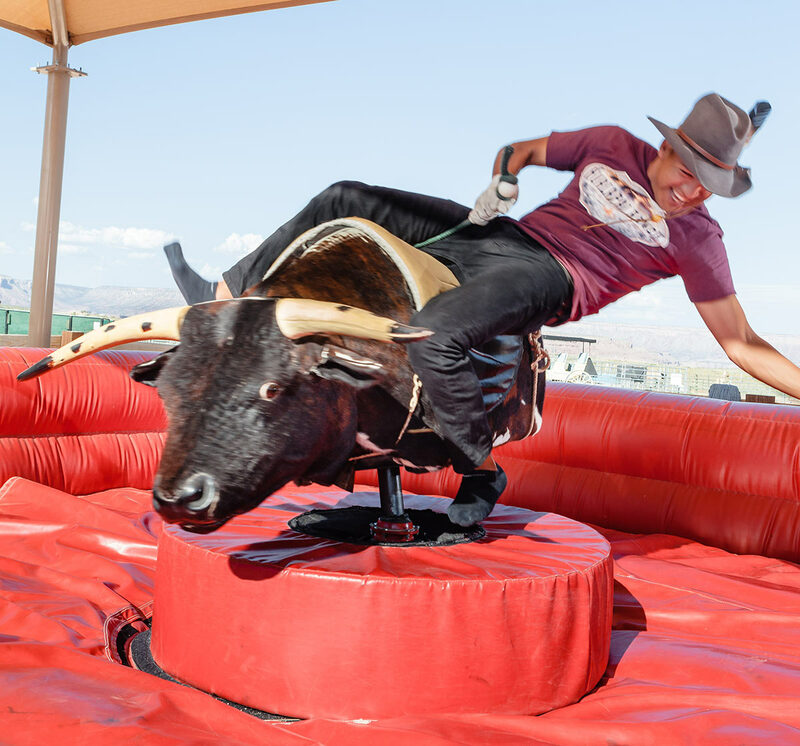 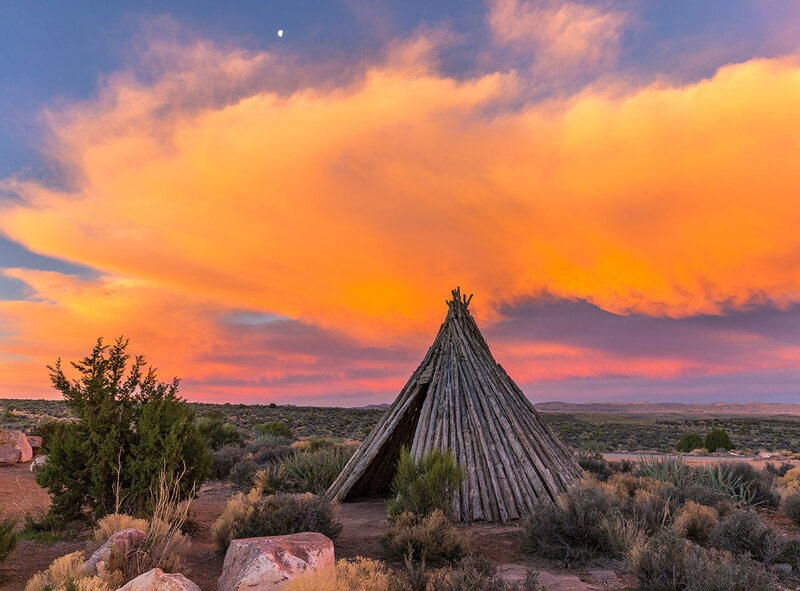 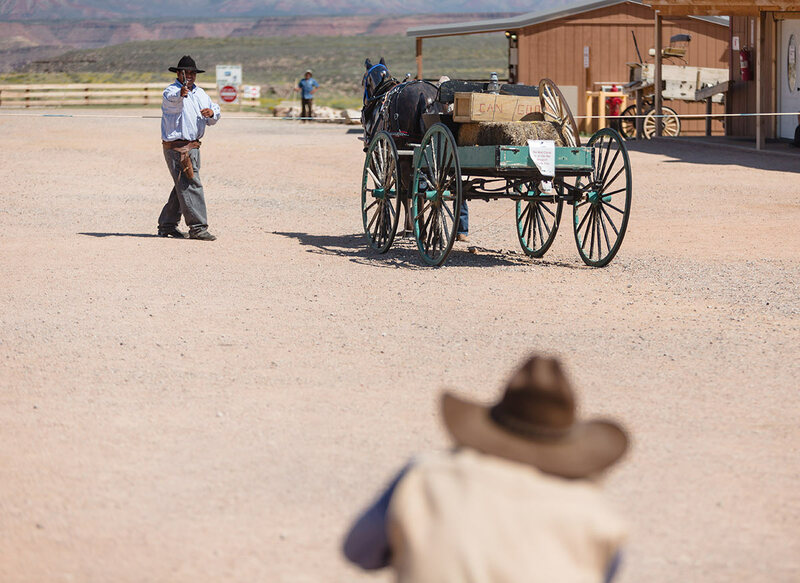 Legacy ticket admission is valid for Day 1 of the Hualapai Ranch Cabin Hotel Stay overnight package. 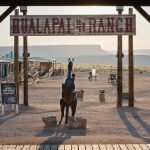 No alcohol is allowed on the Hualapai Reservation. 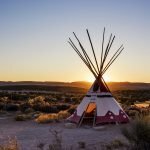 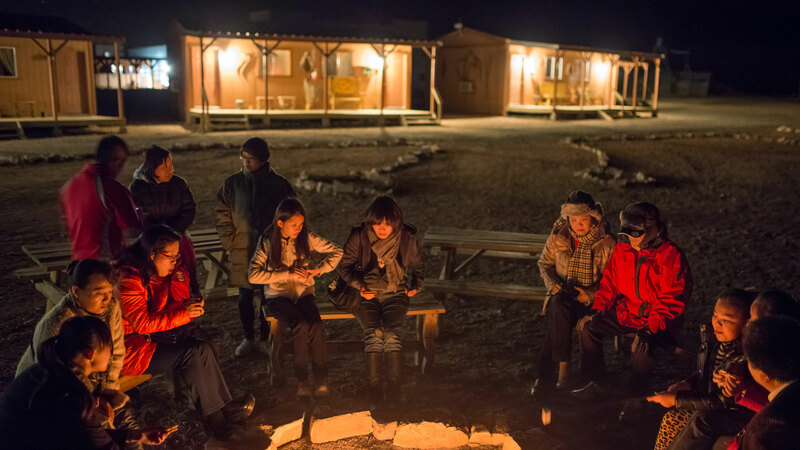 Food cannot be brought onto the Hualapai Reservation for consumption in cabin accommodations. 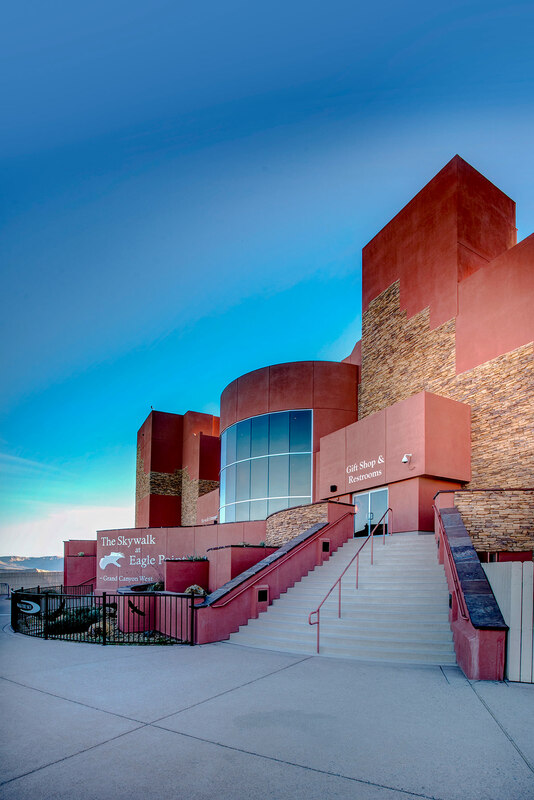 Las Vegas Resort Hotel pickup commences approximately 8 am (subject to location). 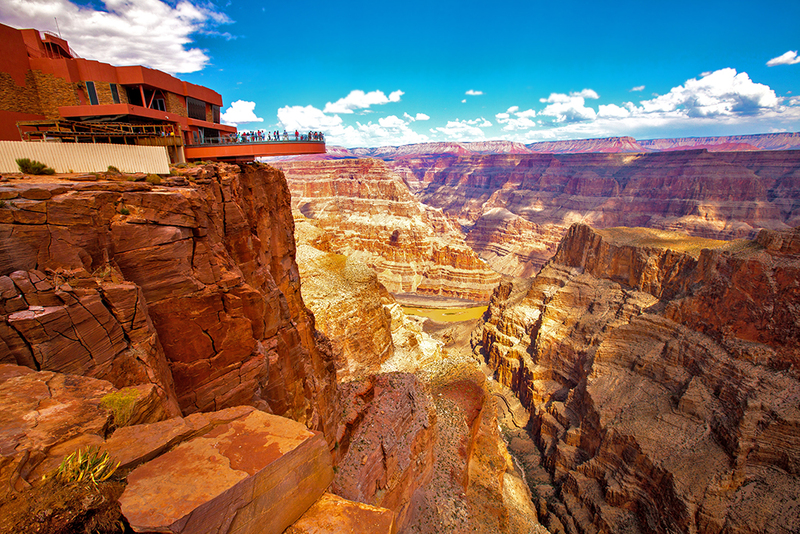 Return transportation from Grand Canyon West to Las Vegas departs at approximately 2.00pm (subject to seasonal times).